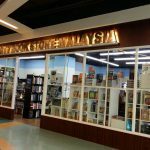 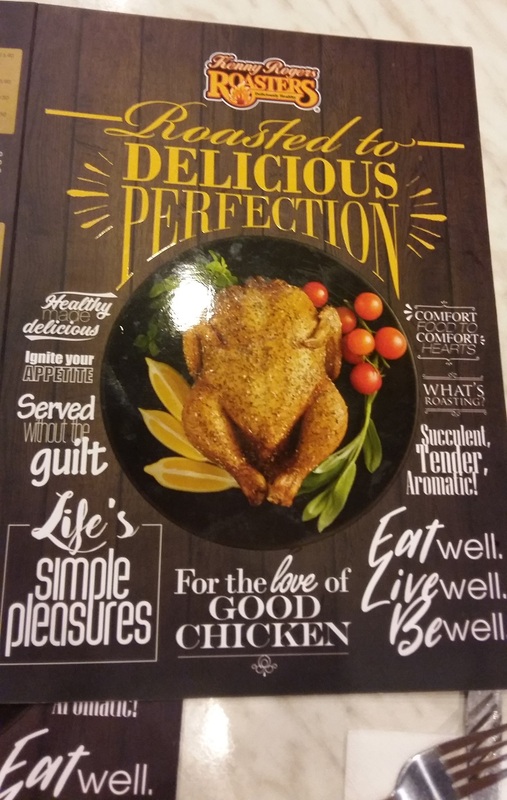 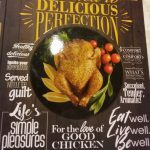 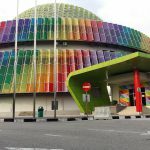 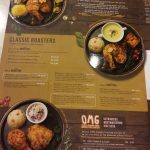 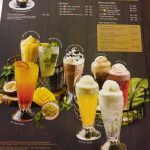 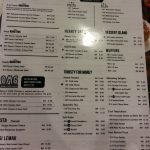 Recently I enjoyed a simple meal from Kenny Roger’s Roasters – which is more expensive than fastfood but is more healthy. 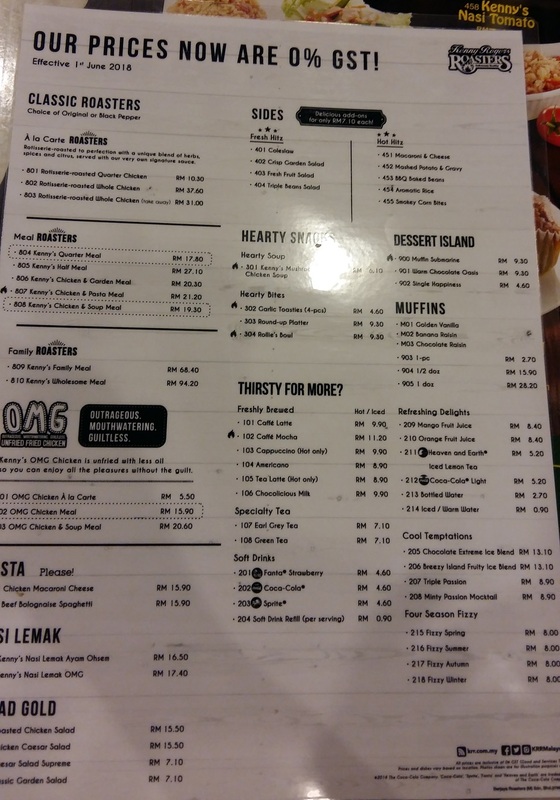 Note: Picture taken on June 2018 ….however please note the pricing in the pictured menu still include GST because most restaurants are still not able to revise their menu in time. 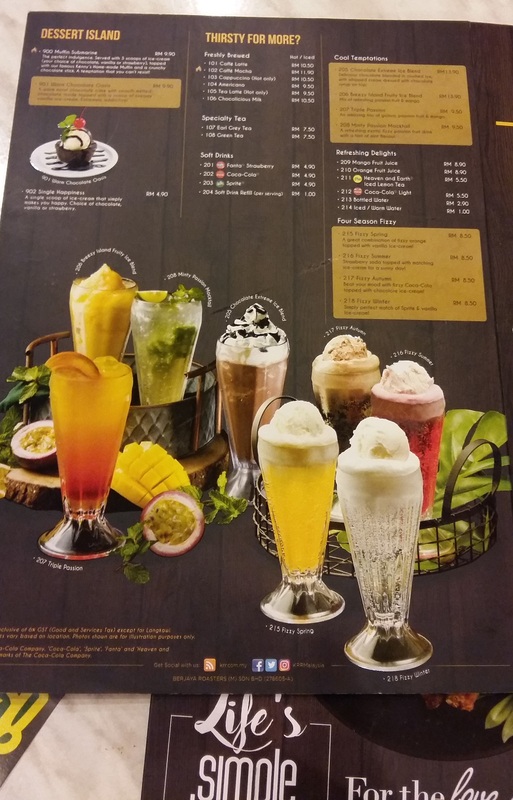 As usual I ordered my favourite hot latte. 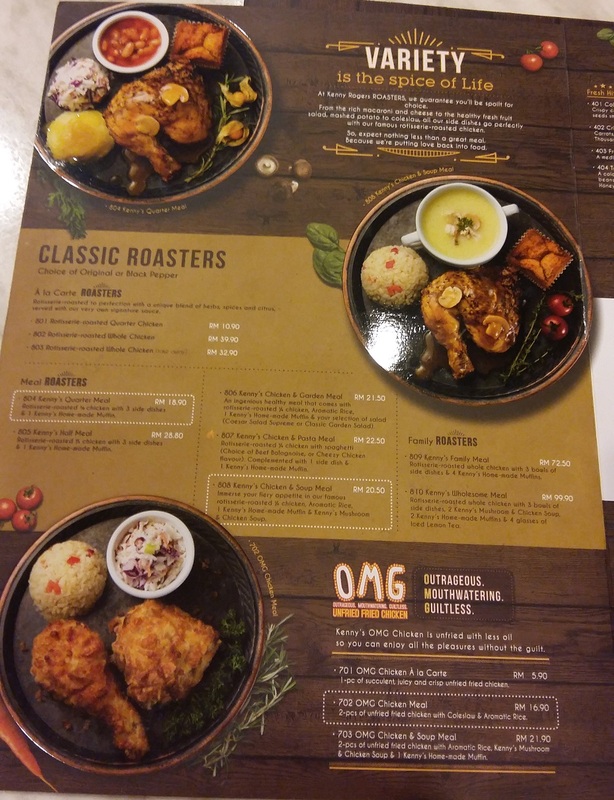 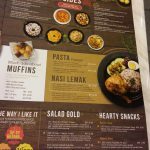 Overall, a quarter size chicken with 3 side dishes and muffin is RM17.80 plus a cup of hot latte RM9.90 which totals to RM27.70. 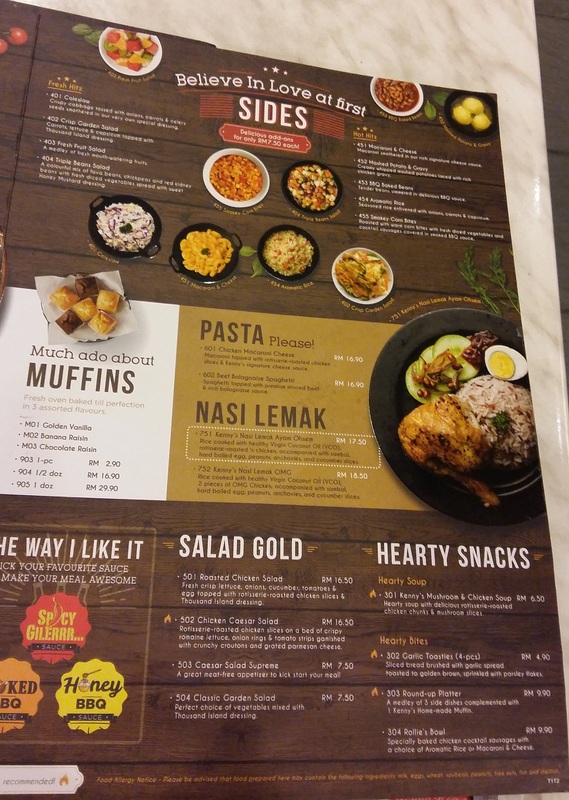 Yep, definitely more pricier than KFC, McDonalds or Texas chicken but the choices are healthier.